Congressman Smith was asked to present safety awards to safe drivers at the UPS facility in Lakewood, NJ. A UPS employ wrote a greeting message for Cong. Smith as a welcome to the UPS Lakewood Customer Center distribution site. UPS Enterprise Account Manager Sean Pender of Hamilton, NJ introduces Congressman Smith to a warm welcome. Cong. Smith speaking to UPS employees at the beginning of their shift in November. Cong. Smith. spoke to the workers about his own father, who like the UPS drivers, was a Teamster. Presenting Mike Piazza with his commemorative jacket. Congratulating safe drive Mike Piazza. Rep Smith and all of the Circle of Honor winners present at the event. UPS Management Team members Chris Lutick and Susan DeJong , Cong. Smith, and UPS officials Sean Pender and Stephen Scaturro. Cong. Smith meets with Teamsters Local 177 President Bob Cherney 2547. A driver greets Rep. Smith. UPS Enterprise Account Manager Sean Pender and Congressman Smith. Freehold, NJ resident and UPS Enterprise Account Executive Sue DeJong. and Cong. Smith. A good sign at the Ocean County facility. Congressman Smith speaks to workers at the UPS distribution facility in Lakewood, NJ. Congressman Chris Smith (NJ-04) was a guest at the United Parcel Service (UPS) Customer Center on Vassar Avenue in Lakewood, N.J. on Nov. 2. Smith was welcomed on-by site Staff Manager Steve Culley, and Teamsters Local 177 President Bob Cherney, and spoke to nearly a 100 drivers and various USP staff. Smith presented congressional certificates for six drivers who achieved safety milestones, including driver Mike Piazza, who achieved a milestone of 25 years without an accident. Smith also presented him with a special UPS leather jacket only given to drivers who hit that milestone. 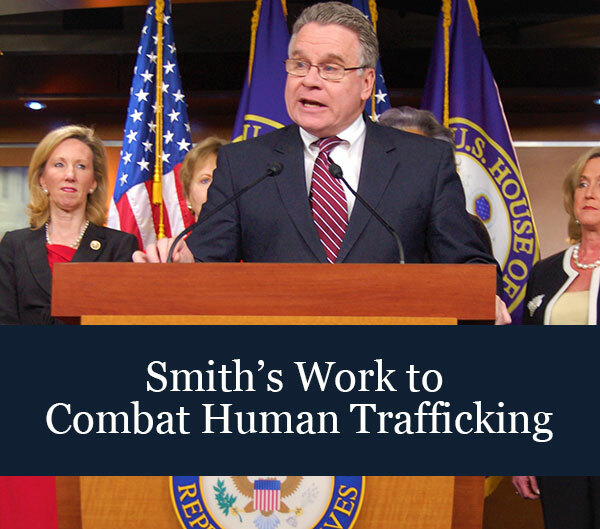 In the past, Smith has visited similar Customer Centers in Mercer and Monmouth counties. He also met with Sean Pender, of Hamilton, USP Enterprise Account Manager; Sue DeJong, of Freehold, Director of Enterprise Accounts- International Sales, and; UPS management official Chris Lutick, of Manasquan. UPS is one of the largest employers in Smith's district, and is the third largest private employer in New Jersey with nearly 20,000 workers.